The original bad girl of burlesque, and the dancer who popularized the use of live snakes, Zorita was a 1940s glamour girl. Known for her original and raunchy dances, Zorita was recognizable by the blonde streaks she often had in her black hair. Born Kathryn Boyd in Youngstown, Ohio in 1915, and was adopted by a strict Methodist couple in Chicago. When she was 15 she worked as a manicurist. Following a client's suggestion because of her full and mature figure, she worked as a stripper at stag parties to earn extra money. Zorita became well known for her unique and controversial numbers, such as the ‘Half and Half’. She dressed one half of her body as a groom and the other as a bride, and, keeping one side to the audience, began to undress each other, leading to the ‘wedding night romp’. In another, an unseen ‘spider’ removed her clothes whilst she danced in front of a rhinestone-covered spiderweb. With her exotic fierce looks it is no wonder Zorita became popular, and adding the danger and eroticism of the snakes, the audiences just went wild. She used the movement of the snakes, named Elmer and Oscar, to emphasize her own. In her popular act “The Consummation of the Wedding of the Snake,” she stripped while holding an 8 foot boa constrictor. 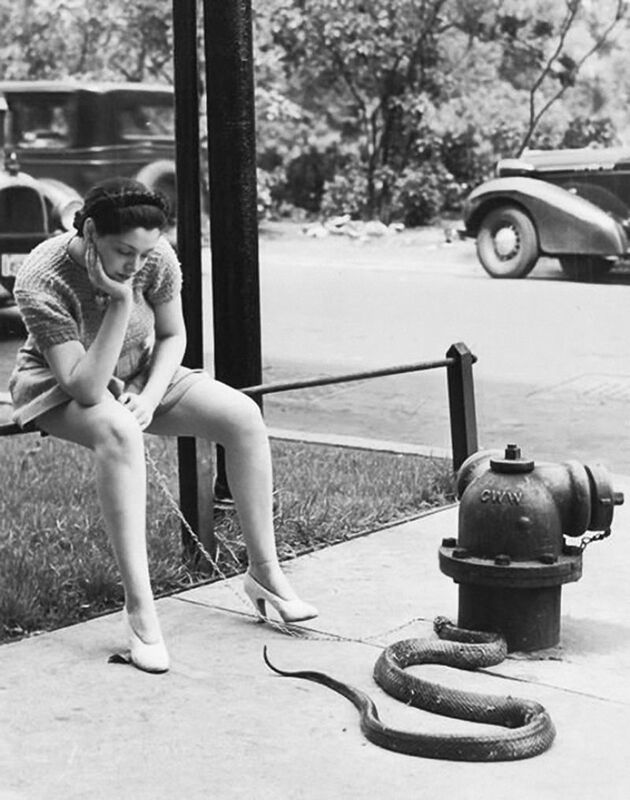 What she did with these snakes eventually landed her in trouble. 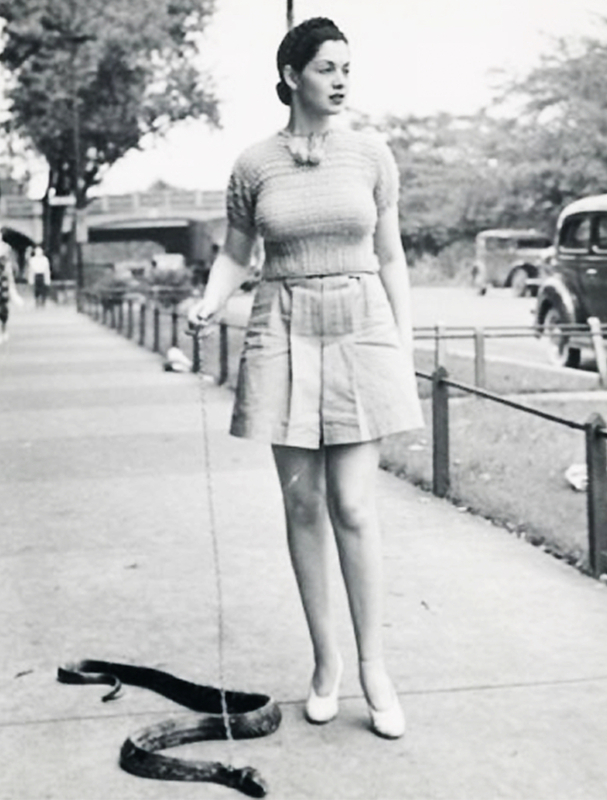 Possibly as an attempt to censor Zorita’s acts, in February 1949 she was arrested by the New York ASPCA claiming she had been cruel to animals. Zorita walking one of her snakes. Although Zorita dated men, and admitted she only spent time with the ones she could use, she was a lesbian and never married. Her unrequited love was fellow performer Sherry Britton, who she pursued relentlessly to no avail. Retiring from burlesque in 1954, Zorita kept herself busy owning several burlesque clubs in New York and Miami, often passing on tips and tricks. While she taught burlesque routines to others, she refused to tell the secrets of her signature snake stripteases. She quite the scene entirely in 1974, and moved to Florida where she bred Persian cats. She died on 12 November 2001, aged 86.